Phoenix 2 – Superyachts News, Luxury Yachts, Charter & Yachts for Sale. 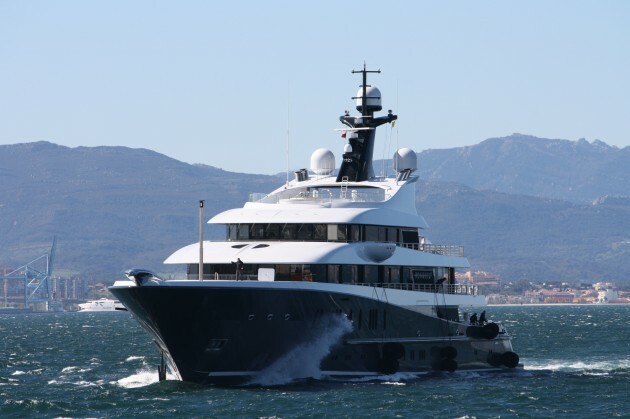 Lurssen’s superyacht Phoenix 2, pictured cruising in The Bay of Gibraltar on 28th February 2011, after completing her transatlantic crossing. Interior Designer – Andrew Winch Designs Ltd.
She looks great from the bow in that light. Thanks for sharing Gibeye.